Read the article by Farzad H. Eskafi (July 11, 2016), "Cognitive vs. Non-cognitive Assessments: What are they?" featuring the illustration below. Michigan Profile for Healthy Youth (MiPhy) is an online student health survey offered by the Michigan Departments of Education and Health and Human Services to support local and regional needs assessment. The MiPHY provides student results on health risk behaviors including substance use, violence, physical activity, nutrition, sexual behavior, and emotional health in grades 7, 9, and 11. The survey also measures risk and protective factors most predictive of alcohol, tobacco, and other drug use and violence. MiPHY results, along with other school-reported data, will help schools make data-driven decisions to improve prevention and health promotion programming. See indicators of a whole child approach to education and community engagement and use the ASCD School Improvement Tool to assess your performance on those indicators. Childhood experiences, both positive and negative, have a tremendous impact on future violence victimization and perpetration, and lifelong health and opportunity. As such, early experiences are an important public health issue. Much of the foundational research in this area has been referred to as Adverse Childhood Experiences (ACEs). ACEs can be prevented. Learn more about preventing ACEs in your community. Your school plays a critical role in building not only students’ academic skills, but also the social and emotional skills that are essential for lifelong success. Developmental relationships between students and teachers help increase student motivation even in the most challenged and unmotivated students. It helps them believe in themselves and work towards achieving their potential. Search Institute offers a range of research, tools, and resources to create school and classroom environments where all of your students can succeed. The Devereux Students Strengths Assessment (DESSA), originally developed by the Devereux Center for Resilient Children, is the assessment portion of Aperture Education’s DESSA System. It is a standardized, strength-based measure of the social and emotional competencies of children in kindergarten through 12th grade. Grounded in resilience theory, the DESSA provides user-friendly, practical tools that meet the highest professional standards. With the DESSA, parents, teachers, and out-of-school-time staff can assess a child’s social and emotional skills and promote healthy outcomes. Measuring non-cognitive skills is a proactive practice among educational institutions that is gaining attention. 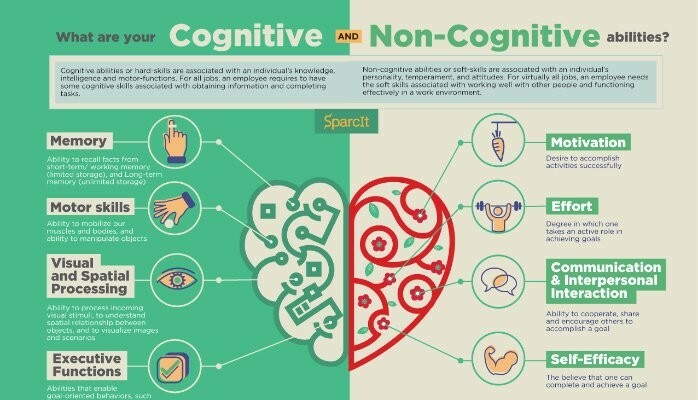 In addition to the traditional cognitive traits such as GPA and standardized test scores, schools are learning the connection between non-cognitive skills and student success. Understanding student learning styles, individual attributes (procrastination, time management, determination) and life factors (time, place, motivation) schools have found a missing piece of the retention puzzle. In addition, schools recognize the need to provide remedial helps for students to help them overcome challenges. SmarterMeasure addresses these issues and more! Click HERE to view an overview of several research projects about measuring levels of non-cognitive readiness. The School Climate Survey is a set of multi-dimensional surveys to measure student perceptions of school climate. The surveys are brief, reliable, and valid for assessing perceived school climate among students in grades 3-12. Each survey includes a set of demographic questions about the participant and a number of questions related to school climate with Likert-type response options. Surveys include: Website and Manual available. In addition, there is a Tiered Fidelity Inventory (and manual) that assesses PBIS implementation at Tiers 1, 2, and 3 and a Capacity Assessment (and manual) that allows districts to examine internal systems needed to support schools implementing MTSS with fidelity. A set of survey scales, or groups of questions, that measure student perceptions of teaching and learning, as well as perceptions of school climate and their own strengths and weaknesses. There is a survey geared towards students in grades 3-5 and grades 6-12. This is free, and you can download the survey here. Five Key Social and Emotional Skills, one of the existing research studies revealed five competencies and skills that help students excel in school over time: self-control, persistence, mastery orientation, academic self-efficacy, and social competence. While they are strong as a collective, each skill taps into distinct areas of students’ abilities and uniquely affects student achievement. Measuring Elementary School Students' Social and Emotional Skills. The ClassMaps Survey (Doll, Spies, Brehm, & Zucker, 2014) is given to classrooms to assess students’ perceptions of important characteristics related to academic engagement, including teacher-student relationships, peer friendships, peer conflict, worries about peer aggression, home-school relationships, academic self-efficacy, self-determination, and behavioral self-control. Check & Connect Monitoring Form (Christensen et al., 2012) is a strategy for gathering information on student engagement through daily records of tardiness, absences, disciplinary referrals (including detentions and suspensions), failing grades, and, in the case of secondary students, the acquisition of credits towards graduation. This data-collection tool allows teachers to not only track multiple student behaviors but also adult strategies for intervening with the student.